A frog ornament long overdue a new facelift from when I originally painted it years ago. I did this for fun in my spare time across many evenings over the past nine days. The colour scheme is based on the leaf green tree frog and I used acrylic paints in order to accomplish this. The first image shows what the frog originally looked like. The undercoat stage I repaired some of the damage to the ornament by using some bluetack and painted it white so that brighter colours stand out better. Until the final part of the image is the end result. 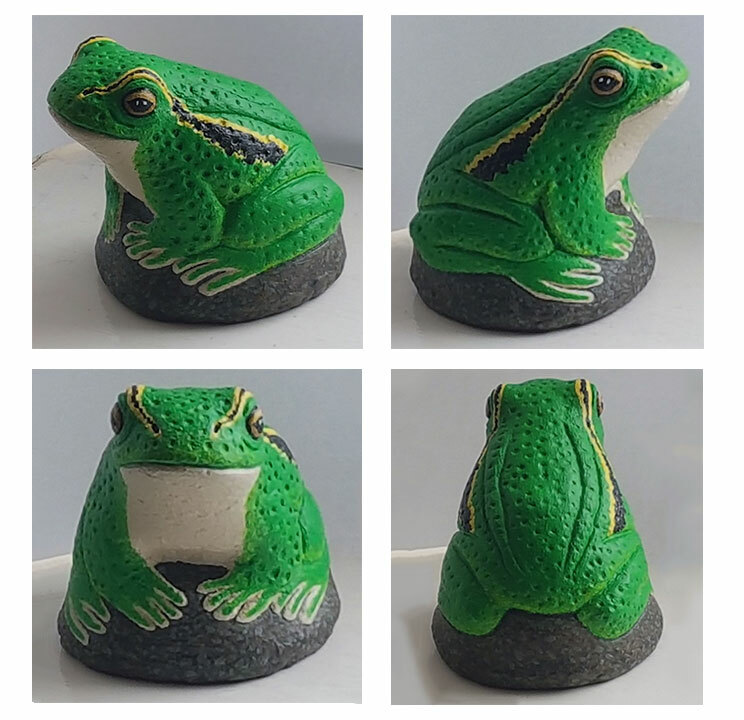 The second image is self-explanatory it just shows all four angles of the frog.